Are you looking to have a custom Kippah designed for you to needlepoint? You came to the right place! 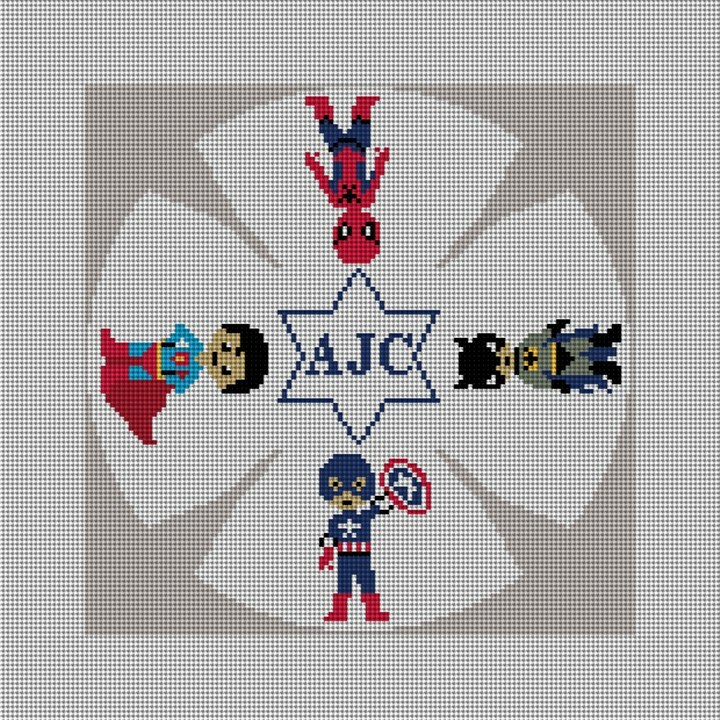 The custom kippah needlepoint canvas will be designed just for you. Please email us the designs (up to four) that you would like incoroporated into your yarlmuke needlepoint canvas and we'll put togather a digital preview for your approval witin 5 business days. You can choose from two sizes, 6.5 inches and 7 inches, and we can use 14 or 18 mesh, keep in mind that we'll be able to catch more detail on 18 mesh but if those holes are too small we'd be happy to use 14 instead. If you have other design ideas that you'd like to see if we can do, feel free to email us, we'd be happy to help!